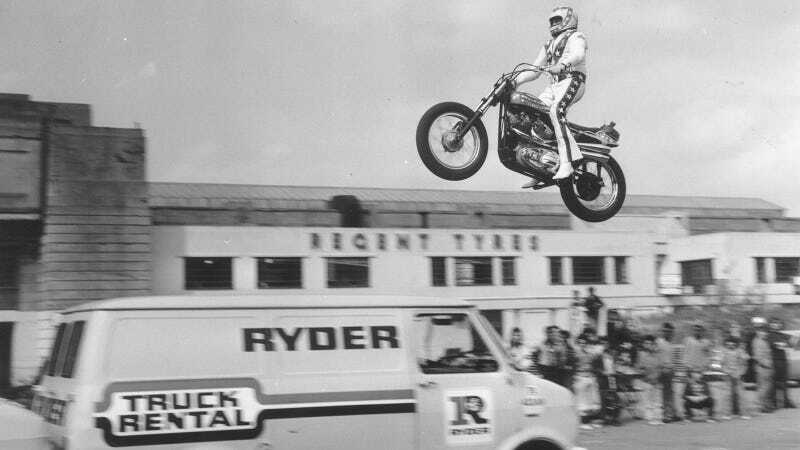 The director of Black Swan, the writer of The Fighter, and that guy from Magic Mike and 21 Jump Street are teaming up to make a movie based on the life of Evel Knievel. This could actually be fantastic. Channing Tatum has been trying to get the movie made since 2012, when it was tied to Mike De Luca and Dana Brunetti (the dudes who just did 50 Shades of Grey). Now it seems Darren Aronofsky will direct. Peter Berg, one of my favorite directors and the man behind Friday Night Lights and Lone Survivor, was originally signed on as the director but dropped out fairly early. This week, Aronofsky confirmed he was signing on to direct, which will give this film a decidedly different flavor. Sony originally purchased the rights to Stuart Barker’s Life Of Evel, but now Autoevolution is reporting the film may carry the title “Pure Evel”, which comes from another book Sony recently purchased the rights to. No word yet on when this thing will start shooting or a projected release date. Channing’s IMDB page has him working on 23 Jump Street and Gambit this and next year. Move over George Hamilton, Magic Mike is taking your place.